to get on Mamma's List! The official flag of Italy is Red, White and Green. 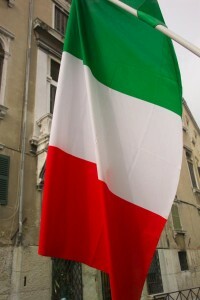 The colors of the Italian flag represent three virtues: hope (green), faith (white), and charity (red). Since October 1946, the national anthem of Italy has been Inno de Memeli . Italy’s national dish is pasta. 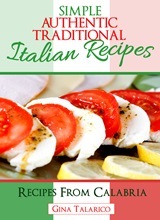 The average Italian consumes 25 kilograms of pasta a year and 1/2 lb of bread daily. Average Italian consumes 26 gallons of vino (wine) annually. 98% of Italians are Roman Catholic. The National Sport of Italy is soccer. Italians invented the eyeglasses, piano, barometer, electric battery, nitroglycerin, wireless telegraphy, cologne, typewriter, vespa, espresso machine, ice cream cone, thermometer and some say the telephone (Meucci). Mangiacake is an Italian term denoting non-Italians, basically anybody that is not Italian. Literally, it is a “cake eater”. It might have something to do with the lack of distinct cuisine, or ignorance of proper Italian food. Where we are from, it is not derogatory and only used in fun so one should not be offended by its use.